Here is the other travel article I wrote on the Odyssey Online. Again, click here if you’d prefer to read it on the original site. Everyone always talks about wanting to visit another country. “If you could go to any other country, where would you go?” But what about what’s currently in our own country? 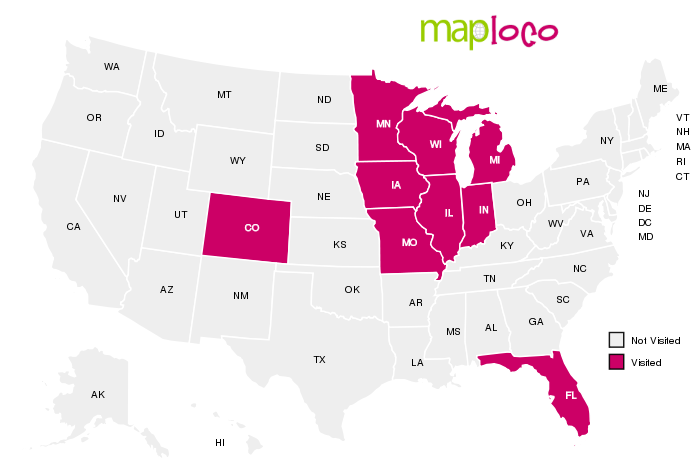 In the United States, you’re not limited to your own state. There are a whole bunch of other states with remarkable places: The Grand Canyon, Niagara Falls, Yellowstone National Park, etc. If I could choose to go anywhere in the U.S., I would choose Oregon with its many waterfalls, mountains, and forests. Followed by Wyoming, Washington, and Montana. There are just so many amazing places to visit and with great photo opportunities too. Of course, if you went to another country, you could learn about the differences in culture compared to the U.S., experience how natives in that country live, and even see many waterfalls, mountains, and forests. Visiting another country is a fantastic gift. I’m simply saying that we should also take the time to see the beauty of our own country which a lot of people haven’t. I’ve only been to around eight states so far, and most of them were near Illinois, aside from Florida. That leaves 42 states left to visit, and I plan on visiting most, if not all of them in the future. I think a lot of us take our country for granted because we live here, and we don’t see it as special compared to visiting someone else’s country However, the U.S. is pretty big compared to some other countries, and I think a lot of people feel limited to their own state when you can plan a road trip or easily fly to another state. Most likely it’s a lot cheaper than flying to another country too. Don’t overlook the U.S. and its beauty. Plan a trip across the states, and visit those national parks and spectacular wonders. Then, at some point, fly across the ocean and see the rest of the world. Don’t be limited to your own state. Well said! It’s not necessary to go abroad to find beauty. The US National Parks are incredible and offer diverse scenery. Thanks! Yeah, they definitely do!